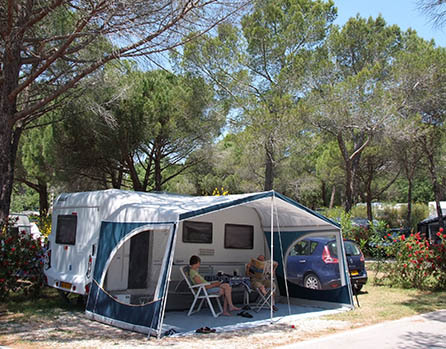 At the heart of a pine forest, La Bastiane 5 * camping offers you camping plots of 80 to 100 m2 area for your tents, caravan or camping-car. The nature lovers will find serenity and well-being through the shaded and flat places. To enhance your family holiday in our camping, la Bastiane offers all sorts of activities for all ages as well as entertainment and many local services. 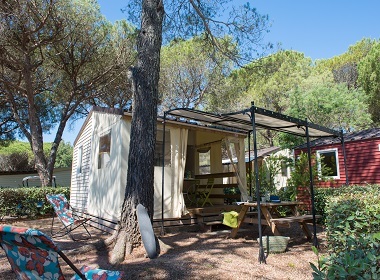 From the camping based in Puget sur Argens in the Var, you can quickly reach St Raphael and Frejus and their sandy beaches. Note that the Gulf of St Tropez and Cannes Bay are also quickly accessible by road, rail or sea.... Holiday for couples, friends or family in a 5 star camping which has managed to remain family!